The orange “M” in the logo is akin to a house. The logo is designed to project a clean and clear image, congruent with my housing loan’s vision. 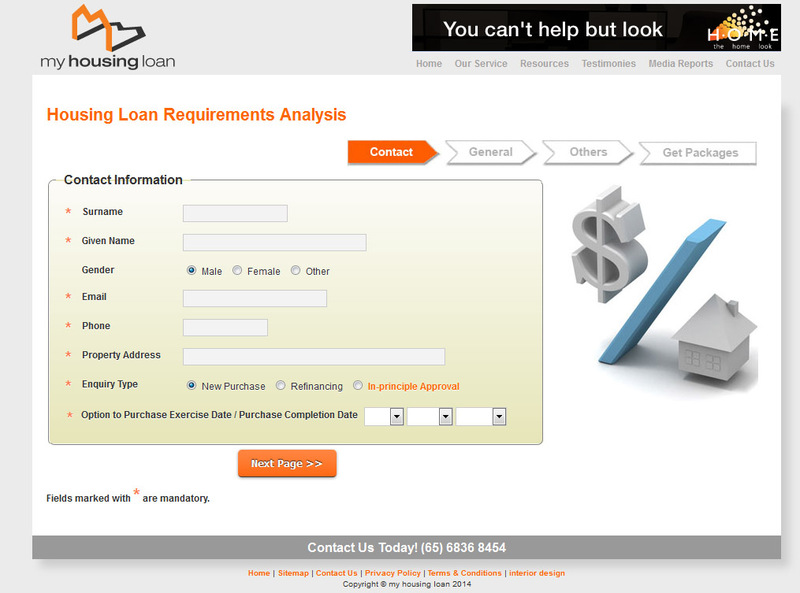 The concept of the website is a comprehensive resource for consumers looking for a housing loan. Loan calculators and tests are developed towards this end. 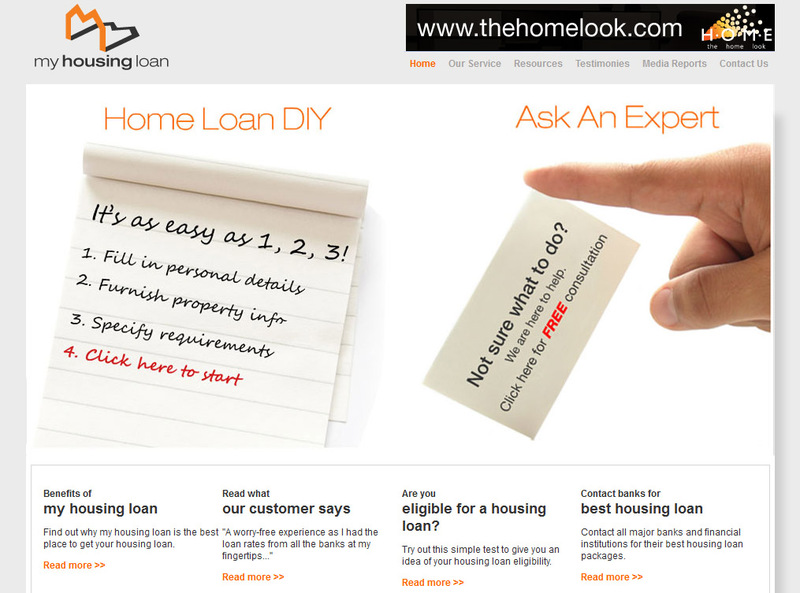 A key feature is a home loan DIY platform. We coded a cloud-based program that will sieve out the most cost-effective housing loan packages in the firm’s universe of loan offerings. 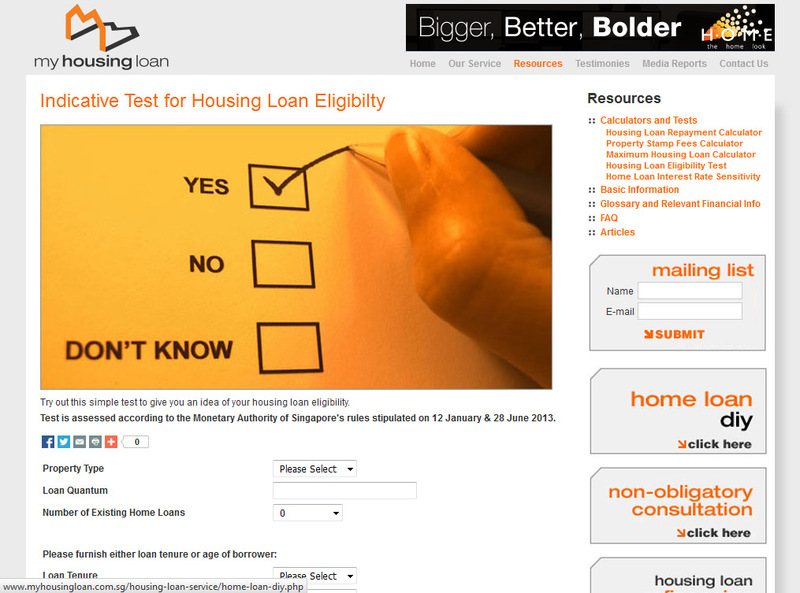 The system will then display a shortlist showing loan package interest rates and the corresponding monthly instalments.